Seriously, who holds movie distributors responsible for the misleading nature of their posters and video cover art? 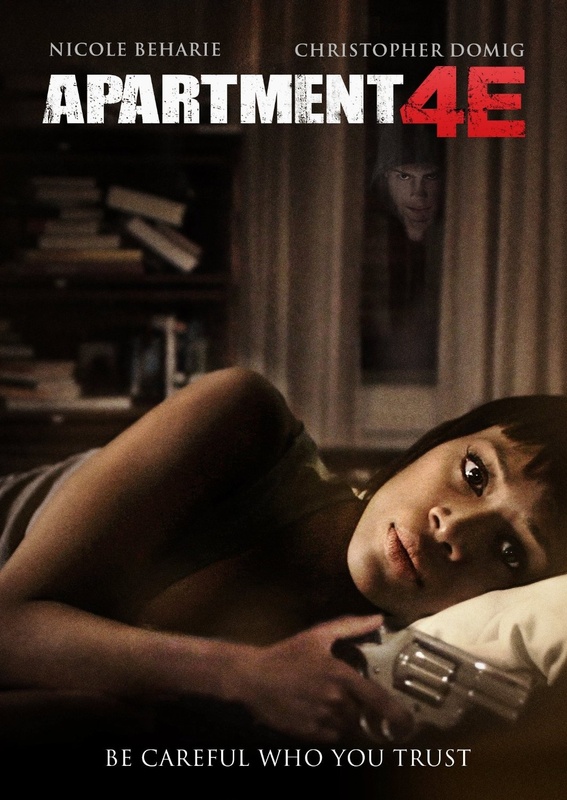 I fully expect films to use their artwork to exaggerate how good/exciting/scary they are, but in the case of Apartment 4E, not only does this cover art depict events that don’t happen in the movie, but it also depicts the movie as being in a completely different genre than it is. There is no menacing hooded figure lurking in any window, and this is in no way a horror, suspense or thriller movie. It’s a drama, period. It’s BASED ON A PLAY, for Chrissake. Apartment 4E consists primarily of two people in a single room talking to each other about love, life and mental illness. Does it get any more “drama” than that? But no, RLJ Entertainment had to try to spice things up and portray this as some sort of “fatal attraction” or home invasion thriller, luring me into its touchy-feely web of angst. Look, it’s a fine movie, and Nicole Beharie (who was so good on Sleepy Hollow before Fox decided to de-Negrify the show) is excellent as Piper, a suicidal woman dealing with bipolar disorder who gets an unexpected visit from a man claiming to be the brother of her online bestie, but I don’t have time to watch stuff with any sort of redeemable social value when there are Ice Spiders and Snakes on a Plane to deal with.